If you are using Illustrator for detailed imagery creation, the Blend Tool can be your most important tool. 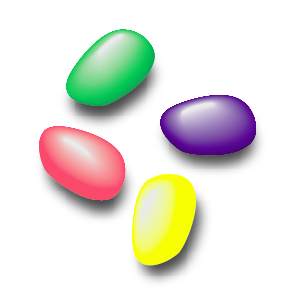 Compared to the Gradient Mesh Tool, the Blend Tool is a Live tool, meaning that you can change its object or shape, its color or position, and the blend will be updated live. 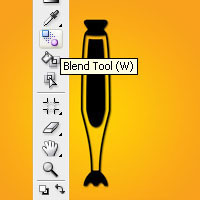 You can create blends either with the Blend Tool or the Make Blend command. One thing to remember though, the Blend Tool takes a lot of RAM, so it may slow down your computer. Learn How To Blend Gradients In Adobe Illustrator. In This Tutorial We Will Show You Blending Gradients In A Quick And Easy Way Using Illustrator. So Let’s Get Started Open Up Illustrator And Use Rectangle Tool To Draw Some Shapes And Change The Colors Of All Then Select All The Shapes. Now From Tools Palette Double Click On The Blend Tool And Turn The Spacing To Smooth Color. Press Ctrl B To Blend Now You Will See The Color You Have Given To Those Shapes Is Blending With Each Other And When You Bend This Shape You Will See It Is Expanding With The Rotation Of The Shape. Try This By Yourself. The Blend Tool really is a great tool that can not only help you create custom gradients, but can help you create custom shapes and effects easily. In this case, I’m using it for creating gradients, but it’s really a fun tool that’s worth playing around with. Illustrator gradients are a necessary evil. They complicate things, are confusing at times and can be created and used in multiple ways. In this tutorial I’m simply going to show the three different ways of creating a gradient. All the illustrator gradients will look the same or ‘similar’ , however, they will be created using three completely different methods. As you may already know, there are a number of different ways to blend colors together in Illustrator. Most designers typically gravitate to the Gradient window and the Gradient tool, but both of these options have their limits. There are other ways to create perfect, custom color blends. Good tips on blending gradients in Illustrator! Another tip: You can preflight, collect and package Adobe Illustrator files with FlightCheck by Markzware.